There's no doubt that Barbie and her gang have had a major impact on the fashion industry. I was lucky enough to have a grandmother who would sewing me one of a kind pieces for my Barbie dolls, every girls dream! I think this is wear I decided I first wanted to design! Barbie and her handbag Ken took over the pages in Germany's GQ Spring/Summer 2011 issue. Some people have said to be disturbed by this editorial, however I feel it shows how much Barbie has impacted the world, as many of these outfits are seen everyday! Not a great example for body image for young people, but that's not who the Magazine is for. What do you think? I love this Barbie inspired look. Anyone wanna try a DYI? Im sure I have plenty of old barbies in a box. This Mad Fashion episode was the inspiration for this post. 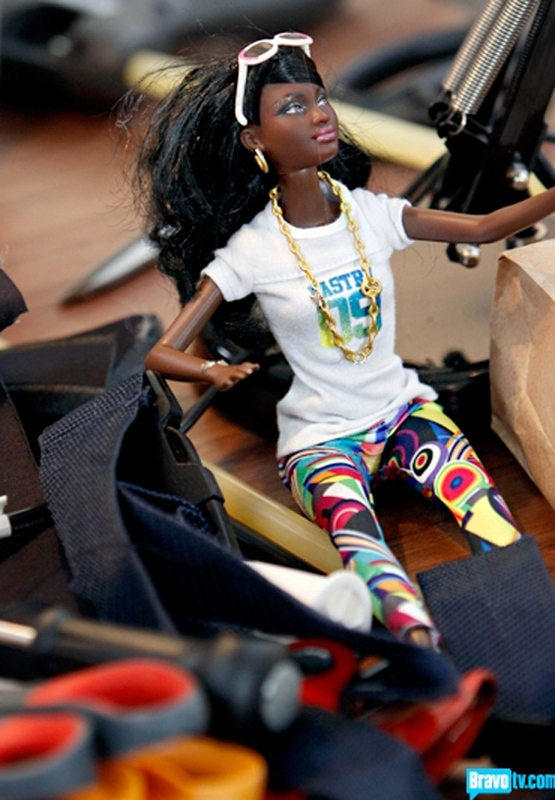 Chris was to design a Barbie inspired dress for sister designers Vanessa and Angela Simmons. Filled with colour & tiaras the girls were sold on the dress and surprised by there giant shoe bags!